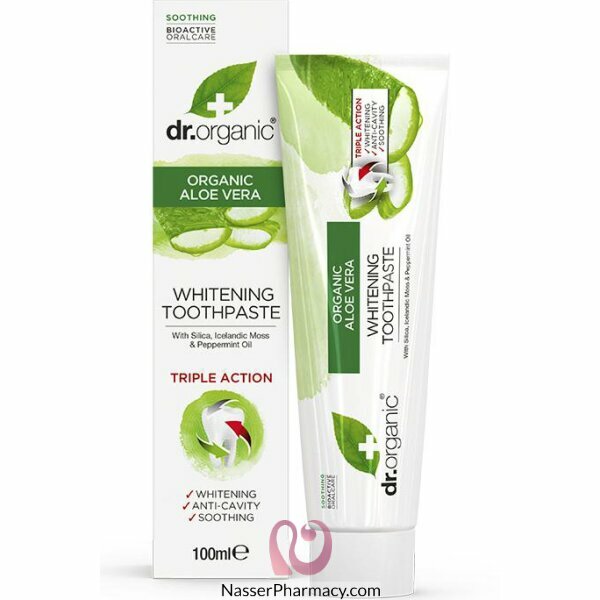 This triple action toothpaste containing Organic Aloe Vera, Silica, Icelandic Moss and Horse Chestnut, naturally cleans the teeth and leaves the mouth feeling fresh. Regular brushing with this unique toothpaste helps protect against bacteria, the major cause of plaque and tartar. Its soothing action helps relieve gums from irritation and refreshes the mouth with a fresh lemon mint taste. Thanks to its whitening and anti-cavity properties it is an extraordinary toothpaste ideally suited for general oral hygiene.